As Mindshape’s Senior Graphic Designer, Anita is responsible for the visual storytelling that surrounds today’s most innovative brands. Anita’s 20 years of design and marketing expertise allow her to execute compelling and on-brand design solutions, both for print and online consumption. Her strategic thinking, keen eye, and passion for design helps her draw inspiration from a wide landscape of resources. Delivering design direction, from concept to production, Anita’s clients have ranged from tech startups to Fortune 500s. 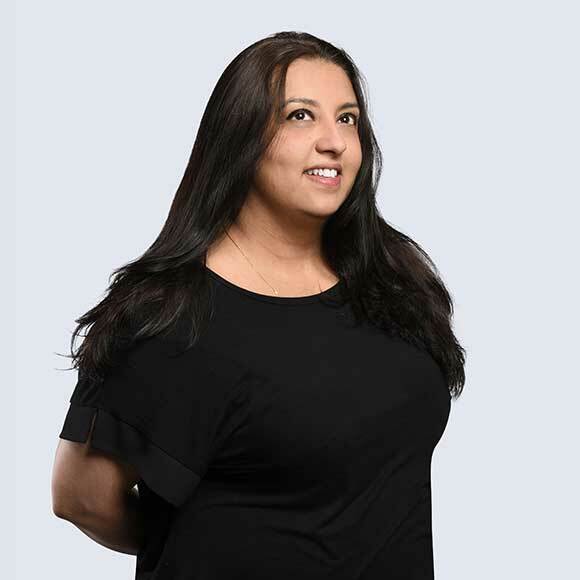 Coupling her diploma in Marketing and Sales from Sheridan College with her diploma in Advertising and Design from the Academy of Design fortifies her insights to deliver fresh and innovative branded experiences, connecting with consumers on an emotional level. Anita lives a curated aesthetic; she enjoys being a part of the art world, cooking new and interesting dishes, home gardening, and all things scientific.